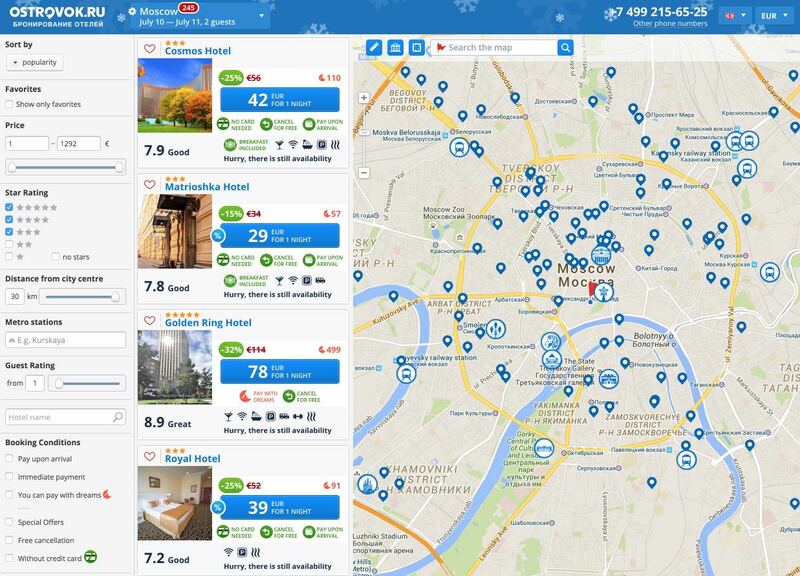 As I write this article I have done a price comparison between Ostrovok and Booking, with a hotel in Moscow, the Golden Ring Hotel (5 star). 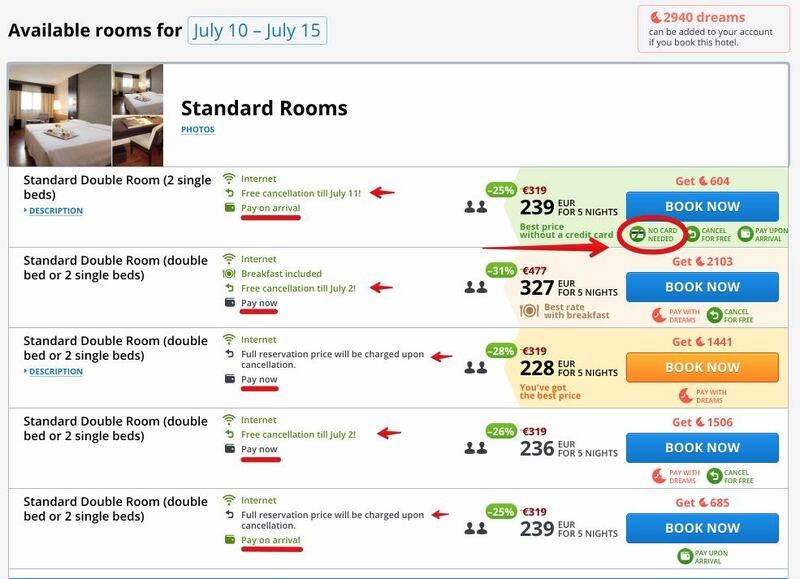 Thus, a stay of 5 days (from 10 to 15 July 2016) in a double room in this hotel costs 442 euros (477 dollars) in Booking.com, whereas in Ostrovok the price is 319 euros (344 dollars), a fairly significant difference. 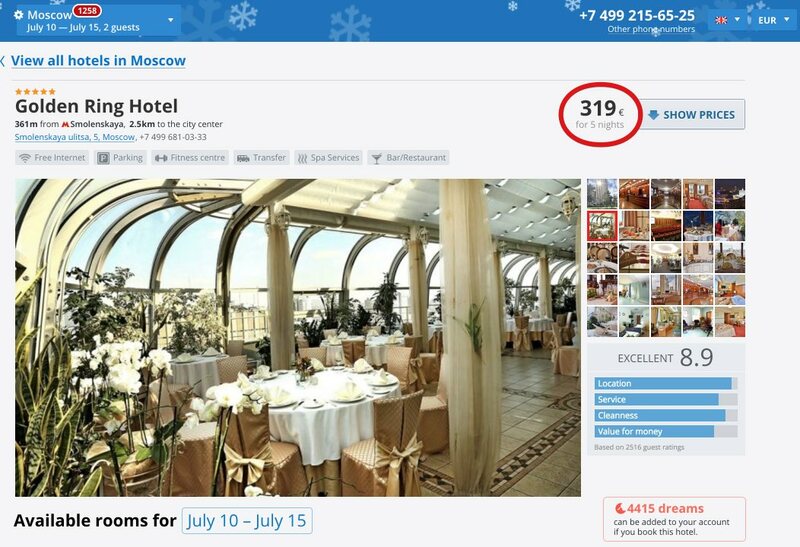 If you do a price comparison with other hotels between Ostrovok and Booking you will see as there is almost always a cheaper price in Ostrovok. 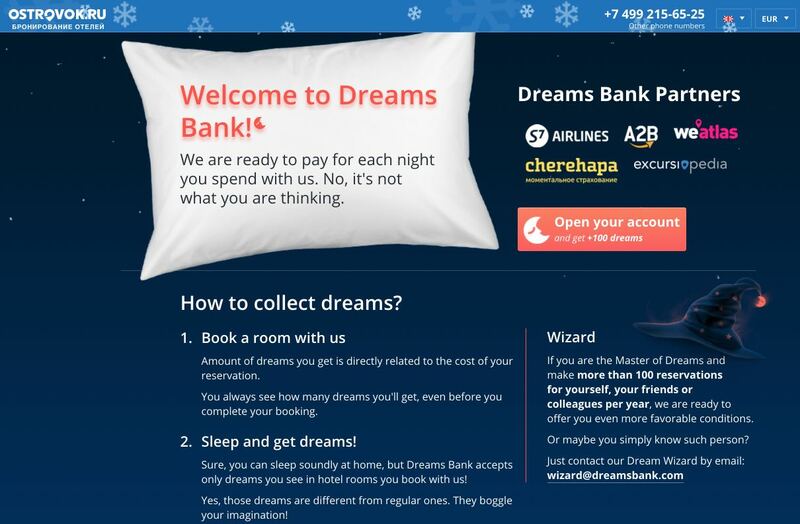 Finally, I will say that this platform, unlike others, has a loyalty program that offers points (called “dreams”) for each booking made. 1 dream is 1 ruble and can be spent on future reservations. For a stay of five days you can get up to 1,500 dreams which would become around 20 dollars for your next stay. Not bad.